Bryan and Holly got together to take a look forward at the next year in Star Wars. From video games and books to television and the big screen... Oh... and a little theme park. They give you a preview of everything coming and make the excitement infectious. 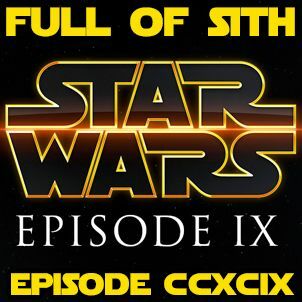 If you haven’t already, join our new Facebook group and join in the discussions with us and other listeners at – http://facebook.com/groups/FullofSith If you like the show, please leave us iTunes/Stitcher reviews and share us with your ... See More friends and family! We’d greatly appreciate it.